Looking for a hotel in Maceió? Mercure is located in Pajuçara, one of the most beautiful beaches of the city, overlooking natural pools and close to the beach stalls, such as Lopana and Kanoa. Relax in our rooms and enjoy the pool overlooking the sea, regional breakfast with a French touch, restaurant and bar. The hotel is 25 km from the International Airport and 1.5 km from the Convention Center. 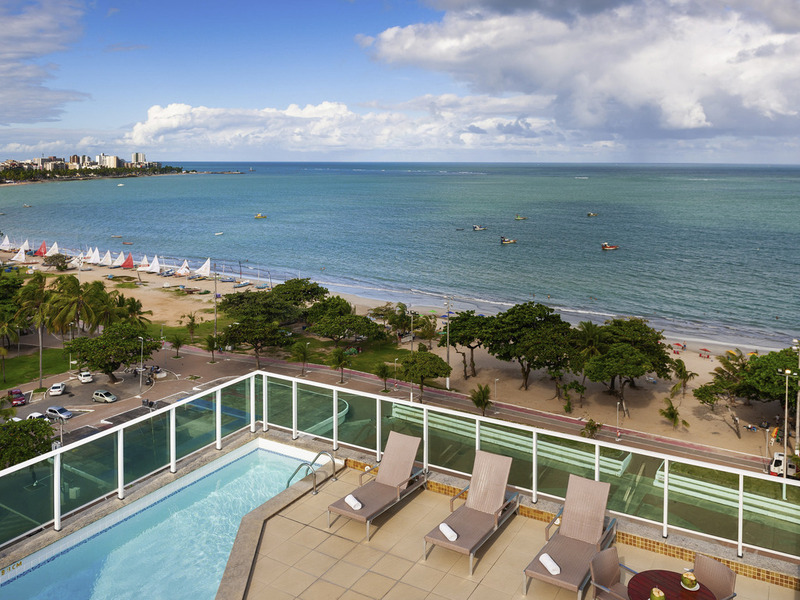 In an outstanding location on the beautiful Pajuçara beach, the Hotel Mercure also offers regional gastronomy in its bars and restaurants as well as shopping in the open-air markets situated along the Maceió seafront. Intimate apartments with restrained, modern decor. The Restaurant is on the ground floor and is a good option for enjoying breakfast. Dinner is only available through room service. We are unable to offer a lunch service. The Bar is in the hotel lobby, and is a place to enjoy regional drinks or a chilled beer to relax after a day of cultural tourism or at the start of a night out. It was an amazing journey with your employees. Great breakfast, unforgettable location and a good room. Nice internet. Lack of fitness center ! The equipments of what should be a fitness center are located at the outsourced Parkin lot of the hotel without out any kind of health conditions to exercise. Great people helping us in the hotel, but it needs to improve the structure. cleanliness good, breakfast great and diversified, excellent location, super recommend, experience was very good, staff very polite and helpful, I will be back for sure.Maceió is a wonderful place to spend honeymoon. I liked my stay at Mercure Hotel, good location by the beach and the room was OK.
Kindly staff taking care of all details. Good breakfast buffet with fresh juices and fruits and also tapiocas. Well located, with some walking distance spots to be visited. It's not a 5 stars hotel, but it's very comfortable with a very good service (room service, restaurant and reception). As ever the minibar products are very expensive. I like very much the pool area - there is a beautiful view - and the attendance there was excellent.